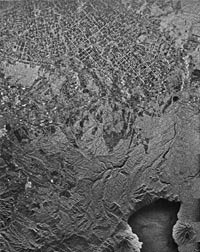 Actually cataloging Soviet Earth images would require assembling millions of images, and so this page is just an overview of the primary technologies and examples. 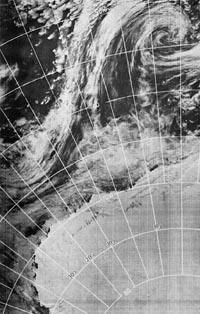 Photography of the planet Earth was an important objective in American and Soviet space programs, for weather prediction, cartography, resource management and military surveillance. Returned-film camera systems were the highest quality Earth-imaging technology until recent linear CCD cameras. 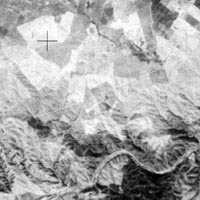 In America, returned-film systems were forbidden for civilian use, but in the Soviet Union, many Zenit spacecrafts flew non-military missions to provide surveys for cartography and resource studies. 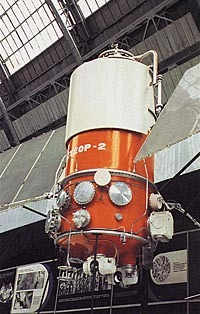 Zenit-2 was the first Soviet surveillance satellite, and since 1961, over 700 have been launched. 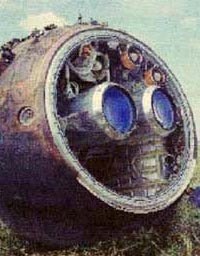 As seen above, the Zenit program used the same spacecraft as the one-man Vostok missions. The original Ftor camera system, designed by Iu.V. Ryabushkin, consisted of a 1000 mm SA-20 camera and a 200 mm SA-10 camera with about 1500 frames of film. A few early missions also included a phototelevision camera called Baikal, probably similar to the Mars-1 camera. The Zenit-4 camera, in 1963, included a 3000 mm telescopic objective, using a mirror to fold the optics into the spherical capsule. The Zenit-8 capsule above shows two telescopic KFA-3000 cameras. 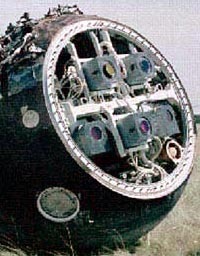 The Resurs-F1 capsule shows five cameras. Two KFA-1000 cameras shot and three KATE-200 cameras. Camera systems were used several times before wearing out from repeated launching and reentry. Film was typically 18 × 18 cm or 30 × 30 cm format. 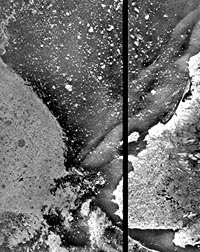 Panchromatic (b/w) films might have broad or narrow spectral sensitivity. "Spectrozonal" film used two emulsion layers recording (for example) 570-680 nm visible and 680-810 nm near-infrared wavelengths. "Multizonal" film meant the usual three-dye color film. 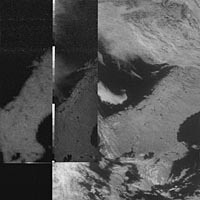 The images above are from the Zenit-4MKT (Fram), an Earth-resource satellite carrying five KATE-200 cameras. These had a 200 mm objective and held 1200 18 × 18 cm frames. These were loaded with a set of narrow-band panchromatic films, two-layer spectrozonal film, and conventional three-layer color film. 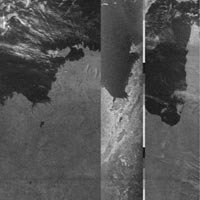 15-30 meter resolution was obtained, depending on film type and satellite altitude. 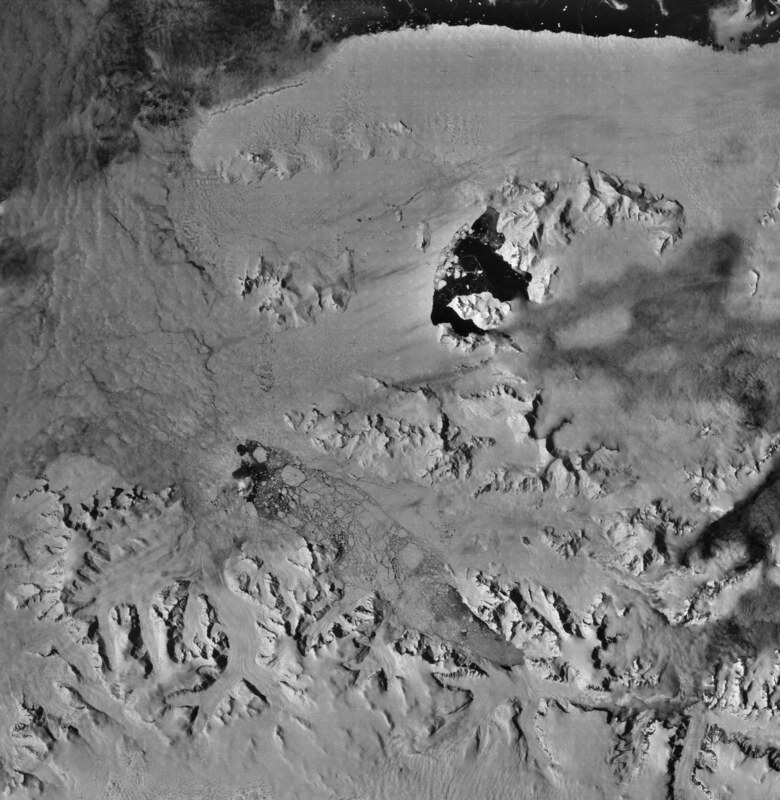 Above left is an image from Antarctica taken with the topographic camera TK-250, in 1973. 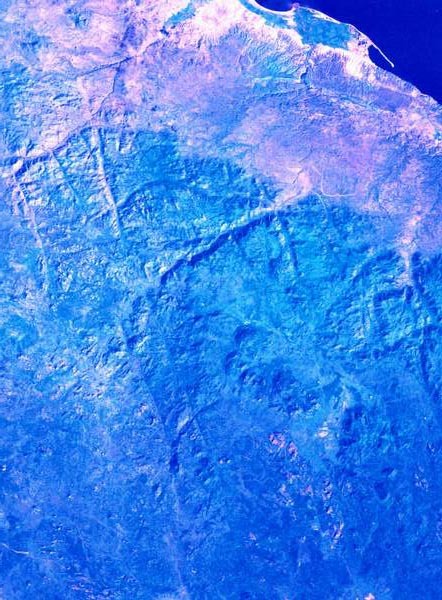 This is probably from the Zenit-4MT (Orion) spacecraft. The TK-250 used a 250 mm lens and 30 × 30 cm format film. 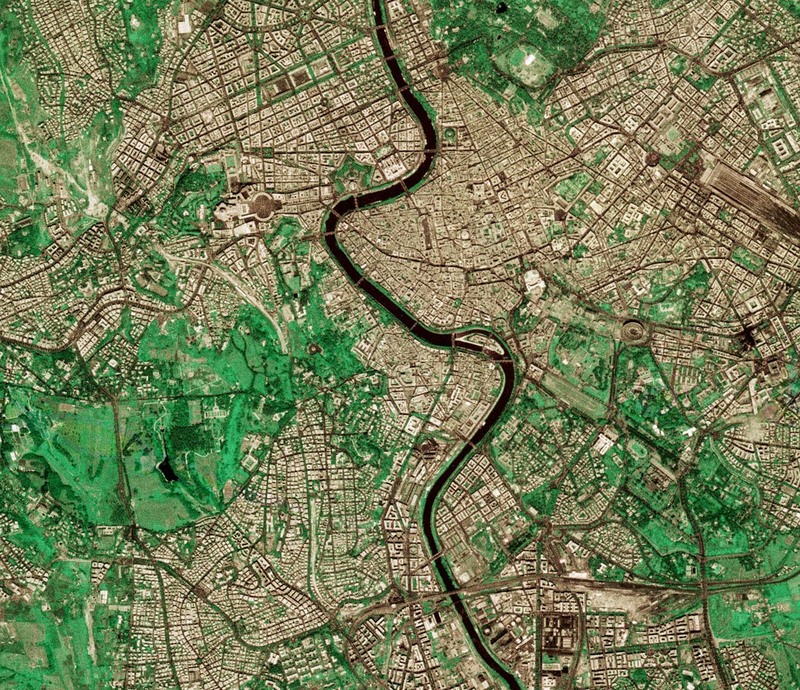 The middle image is a photograph of Vienna taken from Zenit-8 by the KFA-3000 camera. This 3000 mm telescopic camera also shot on 30 × 30 cm format and could resolve 2 meters on the ground. 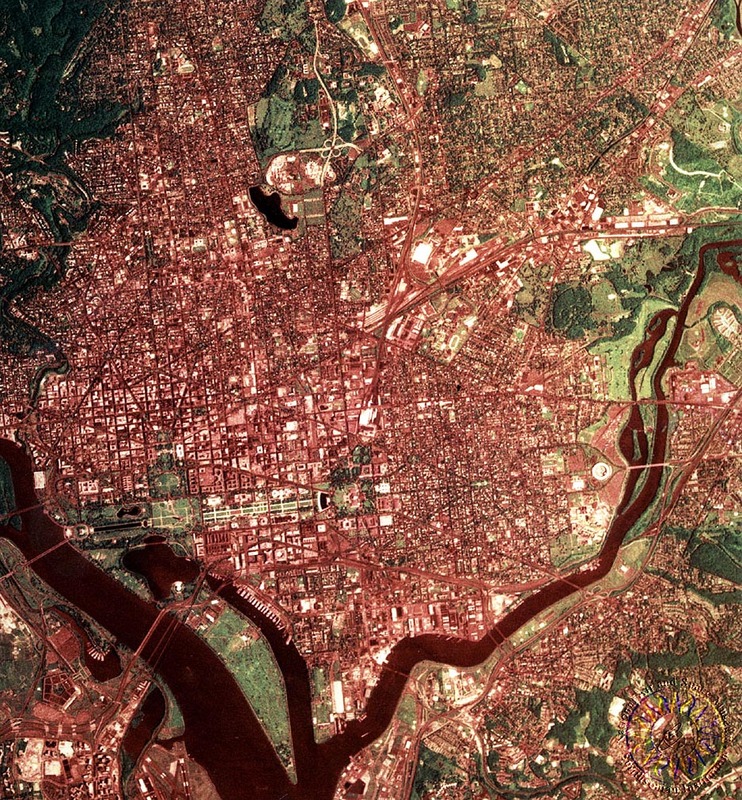 On the right is a 5-meter resolution image of Washington DC, probably obtained from the Resurs-F1 satellite. Deployed in the late 1970s, the Earth-resource missions Resurs-F1 used a Zenit-style spacecraft carrying two KFA-1000 cameras and three KATE-200s. The KFA-1000 had a 1000 mm objective and shot on 30 × 30 cm format, holding 1800 frames in its magazine. 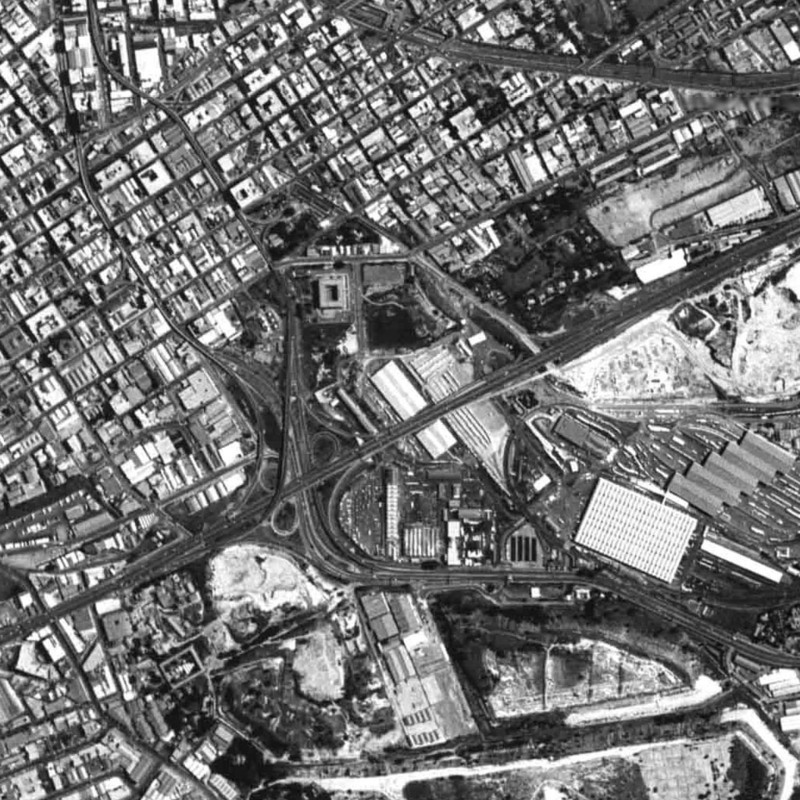 Resolution on the ground was 4 to 10 meters depending on altitude and type of film (panchromatic or spectrozonal). 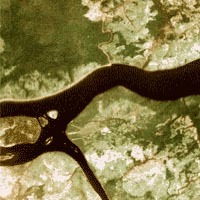 In combination, the KATE-200 provided overlapping topographic images for stereo elevation calculation, and the KFA-1000 produced the highest resolution color images available from Russian satellites. 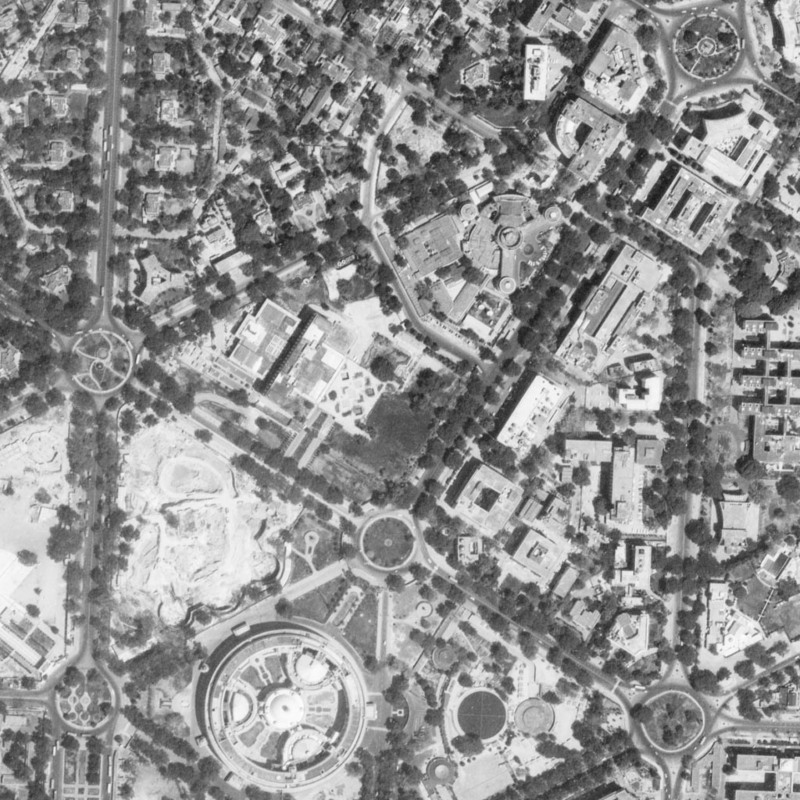 Resurs-F2 carried the multispectral camera MK-4, with unified functionality. It had a 300 mm objective using 18 × 18 cm format. The MK-4 could carry a variety of color and panchromatic films and resolve 6 meters. In the early 1980s, the Soviet military began to deploy a new generation of camera systems on the new Yantar series satellites. Yantars were conical satellites with two reentry capsules that could return film before the main spacecraft landed. In 1989, the Orlets series of satellite extended this to 8 or 22 capsules. This allowed the satellites to remain in orbit for many months, performing numerous missions. The Kometa satellte (a Yantar spacecraft using the Zenit capsule) carried two types of cameras. The topographic camera TK-350 used a 350 mm objective and 30 × 45 cm format frames of panchromatic film. 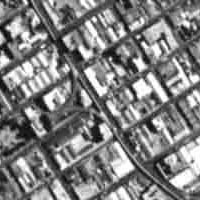 The overlapping long frames were meant for precise stereographic elevation with 8-10 meter resolution. 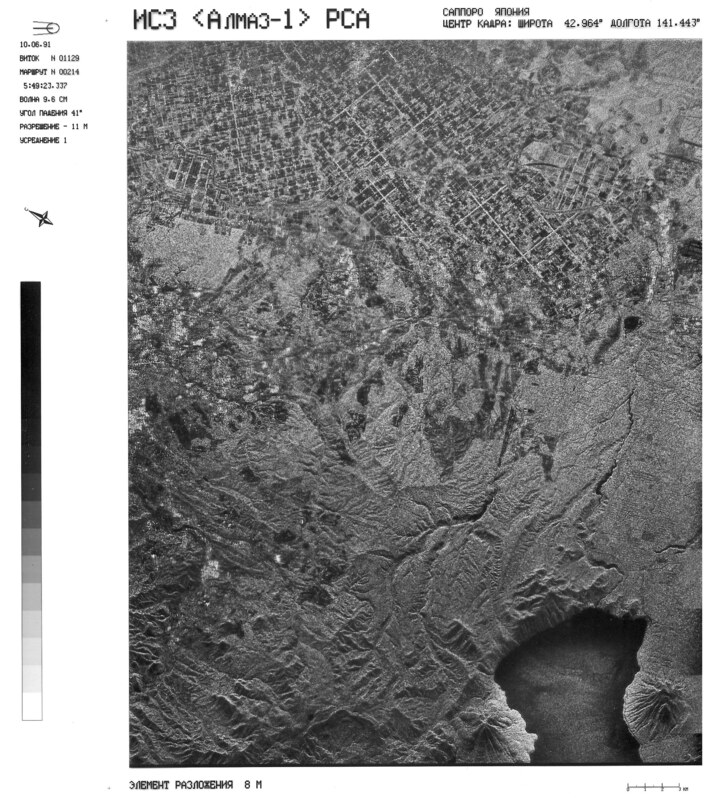 Kometa also carried the high resolution camera KVR-1000, with a 1000 mm objective and 2 meter ground resolution. 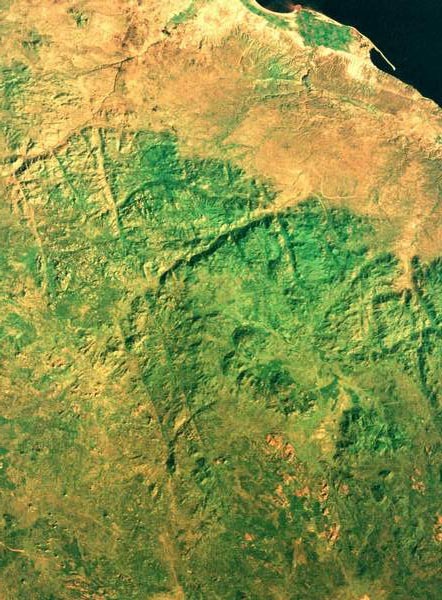 The KVR-1000 shot 18 × 72 cm panoramas, with seven of its pictures covering one rectangular TK-350 image and providing high resolution that could be corrected for distortion against the precise topographic camera image. 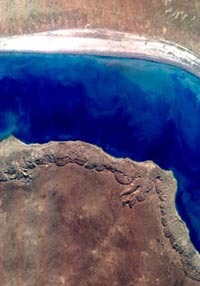 The camera moved film continuously behind a slit while a rotating mirror scanned the Earth. On later Yantar/Kobalt and Orlets satellites, the 3000 mm KVR-3000 was used to obtain 0.95 meter ground resolution. Russian returned-film imagery is commercially available. Sovinformsputnik sells image from the TK-200, TK-250, TK-350, KVR-1000 and KVR-3000. Gostsenter Priroda sells imagery from KATE-200, KFA-1000, KFA-3000 and MK-4 cameras. Eastview and Terraserver also market these products. 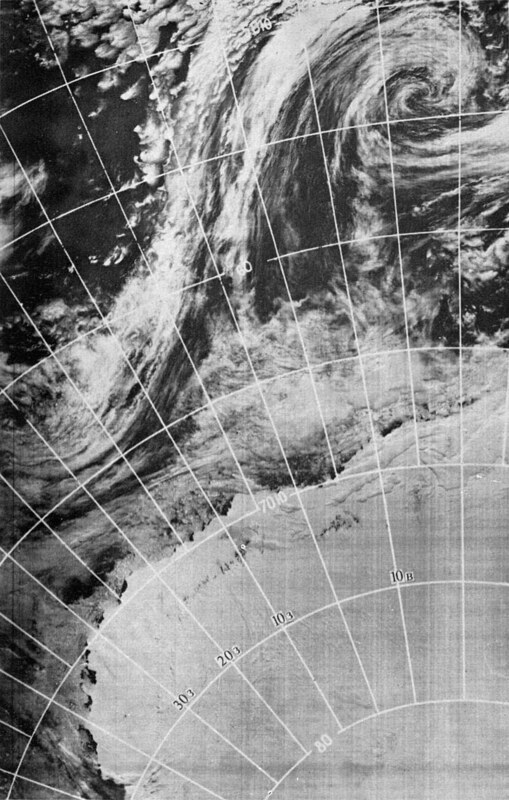 The Meteor series of weather satellites were built by the All-Union Research Insitute for Electromechancis (VNIIEM). Early Meteor-1 satellites included two 400-line vidicon cameras, built by Rosselevich's Television Research Institute in Leningrad. 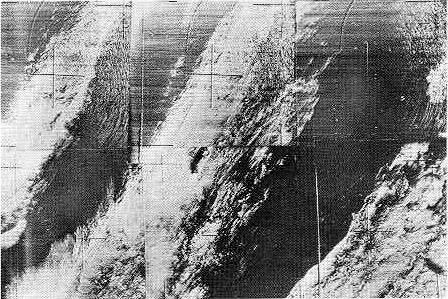 It also had a scanning infrared radiometer which could make low-resolutions images on the night side of the planet. 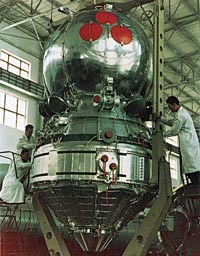 The first prototypes were Kosmos-122 (1966) and Kosmos-144 (1967). In 1974, Meteor satellites began to carry two linear optical-mechanical cameras, developed by Arnold Selivanov's team at the Space Device Engineering Institute. 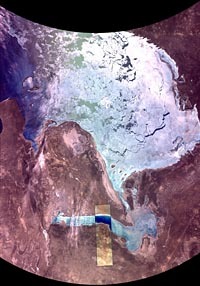 The MSU-M used a rocking mirror to scan a 106° swath at 4 lines per second, with a resolution on the ground of about 1 km. Four spectral channels viewed wavelengths around 500 nm, 600 nm, 700 nm and 900 nm. 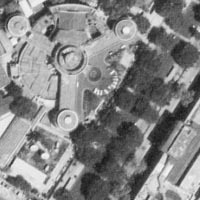 The MSU-S was a rotating-prism design, scanning 90° at 48 lines per second, with a resolution of 240 meters on the ground. 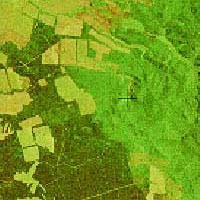 It used two spectral bands near 550 nm (green) and 900 nm (infrared). A photomultiplier tube measured luminance, operating in the logarithmic-photometer regime. Meteor-3 #5 remained in operation from 1991 to 2003. Its video signal can be heard here. 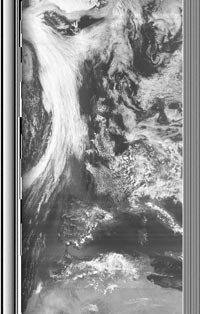 The Resurs-O series (1989 - 1999) were Meteor-style satellites, carrying more advanced scanners for Earth-resource studies. The MSU-SK was a rotating mirror linear camera that swept an arc-shaped scan line long this path. 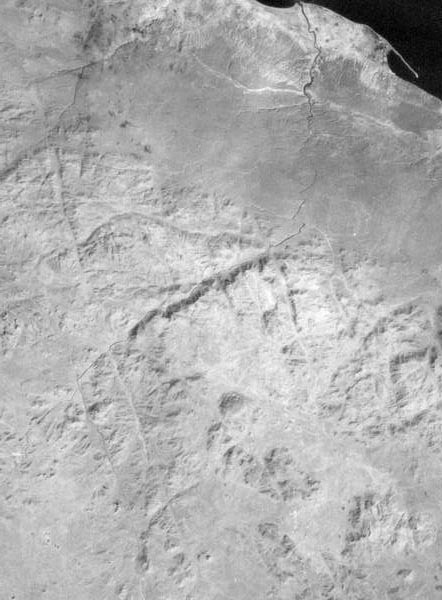 It scanned a swath about 600 km wide with a resolution of 137 meters (4756 pixels). 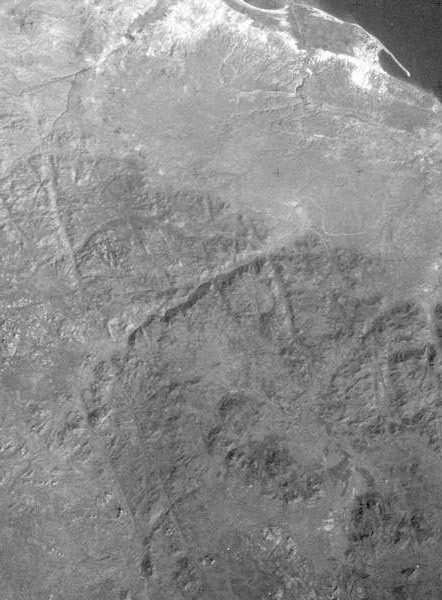 Down the center of that path, the MSU-E linear CCD camera scanned a swath of 45 to 64 km with a resolution of 34 meters (2048 pixels). These cameras were also installed on the Mir space station. 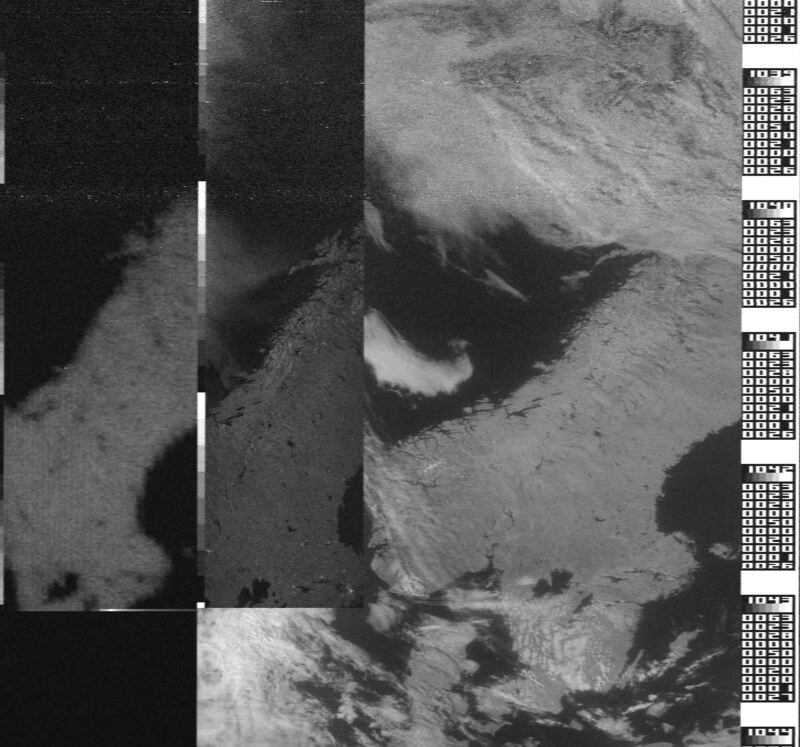 Resurs returned digital image signals with three channels, selected from the set of three spectral bands on the MSU-E (500-590, 610-690, 810-900 nm) or 5 bands on the MSU-SK (450-600, 600-720, 720-820, 810-1000, 10300-11750). 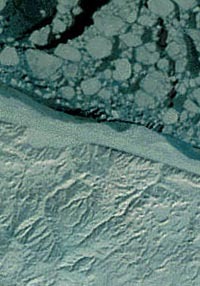 Extensive archives of MSU-SK and MSU-E multispectral imagery is available from the Russian firm NPO Planeta. 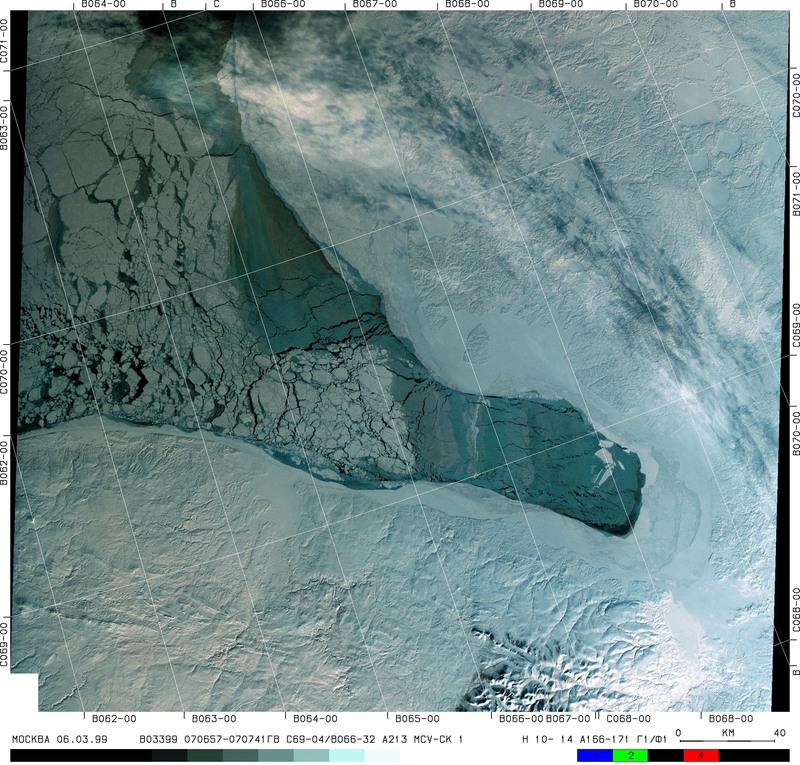 The Ukranian construction bureau KB Iuzhnoe built a series of Okean satellites to observe the oceans and arctic ice, using optical and radar sensors. The Sich satellites, built after Ukranian independance, have continued these missions. The Kosmos-1500 satellite contained a the RLS-BO side-looking real-apperture radar. 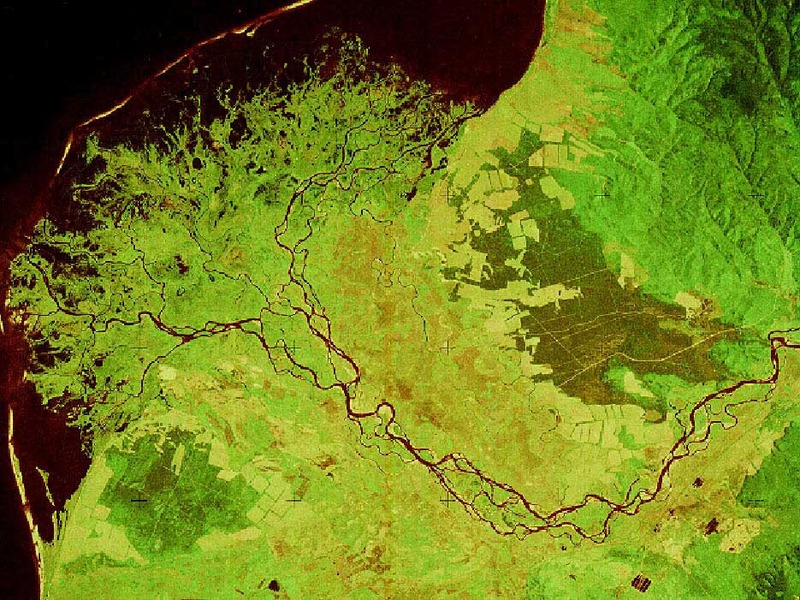 Operating on 3.2 cm wavelength, it imaged a 450 km swath with a resolution of 1.4 km. The radar system was build by the Institute of Radioengineering and Electronics in Moscow. 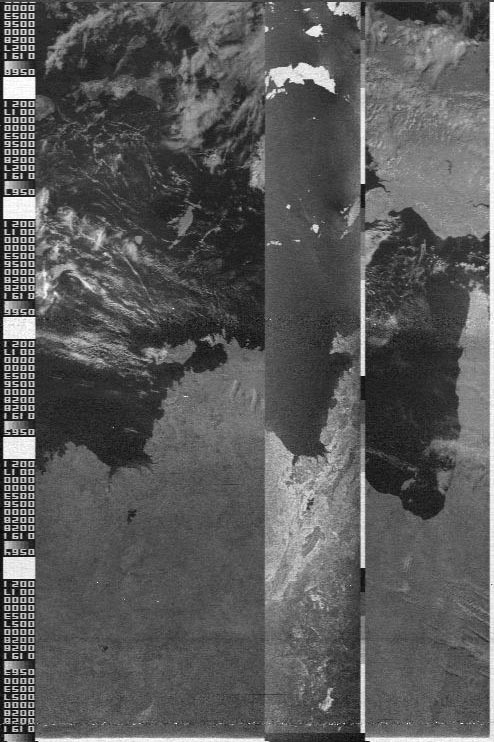 It also contained the MSU-M and MSU-S optical scanners, from the Meteor satellites. 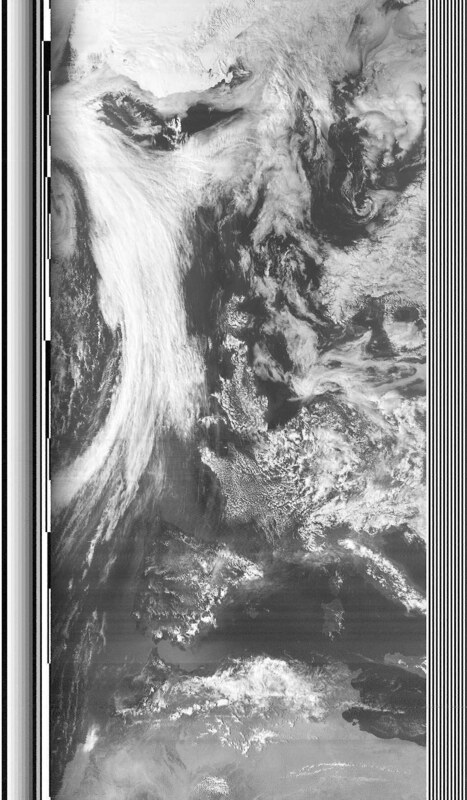 In addition, the Okean-01 series carried the RM-0.8 microwave radiometer, which scanned emission at 0.8 cm wavelength in a 550 km swath at 15 km resolution. 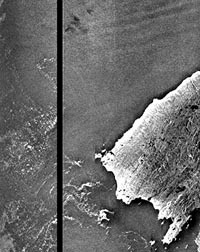 The Okean-O1 image above shows the RM-0.8 panorama on the left, followed by the RLS radar image, and the MSU-M optical image. Synthetic-aperture radar (SAR) imaging systems, developed by Oleg Rzhiga's team at the Institute of Radioengineering and Electronics, were installed on unmanned Almaz space stations. 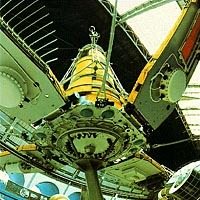 Two of the 19-ton "Almaz-T" satellites were deployed, as Kosmos-1870 in 1987 and Almaz-1 in 1991. Rzhiga's team had designed similar radar imaging systems to map the surface of Venus with Venera-15 and Venera-16. 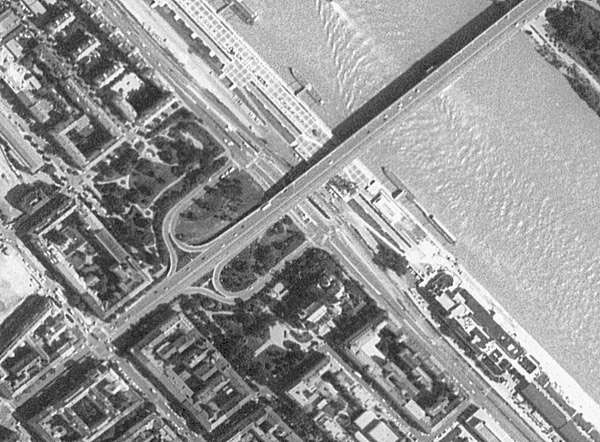 Using microwaves at a wavelength of 9.6 cm, the ground resolution of the Almaz radar system was 15-30 meters. 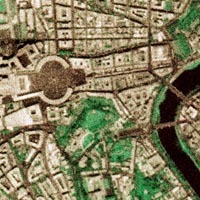 Signals were relayed to Moscow in real time, via a geosynchronous satellite. 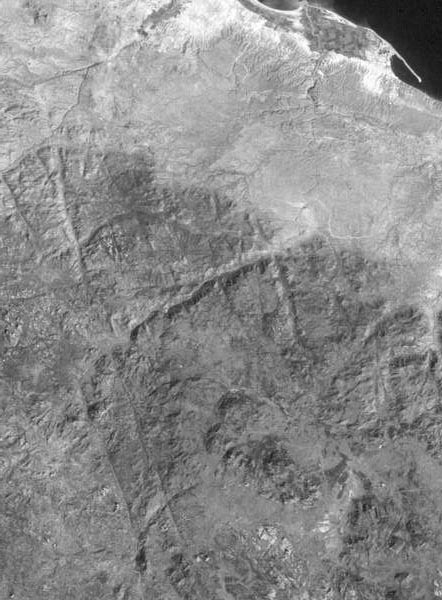 Thank-you to Oleg Rzhiga for the full-resolution example of an Almaz-T image. Copyright © 2003,2004 Don P. Mitchell. All rights reserved.